We arrived in New Zealand just 24 hours before race night, so I didn’t have much time to get my body clock adjusted, but we had practice on the Friday night. Practise went okay. My car was again supplied by Bernie Fox and it felt really good. 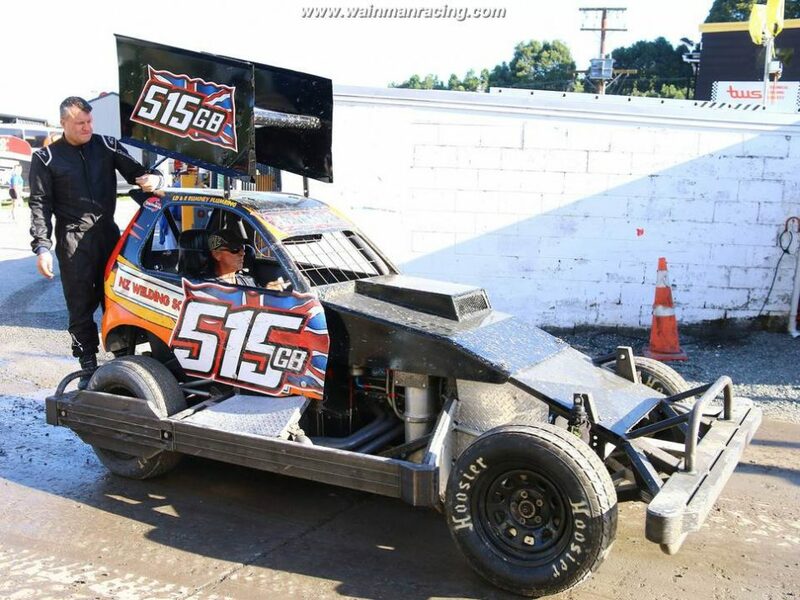 I was looking forward to Saturday night, Frankie was in one of the track cars and was pleased with its performance so all in all a good night. Grid draws were done in the club rooms after the meeting. I drew 23-8-11 which was okay for me because I like having my back start in the first race because I feel I can make places up easier in first race. 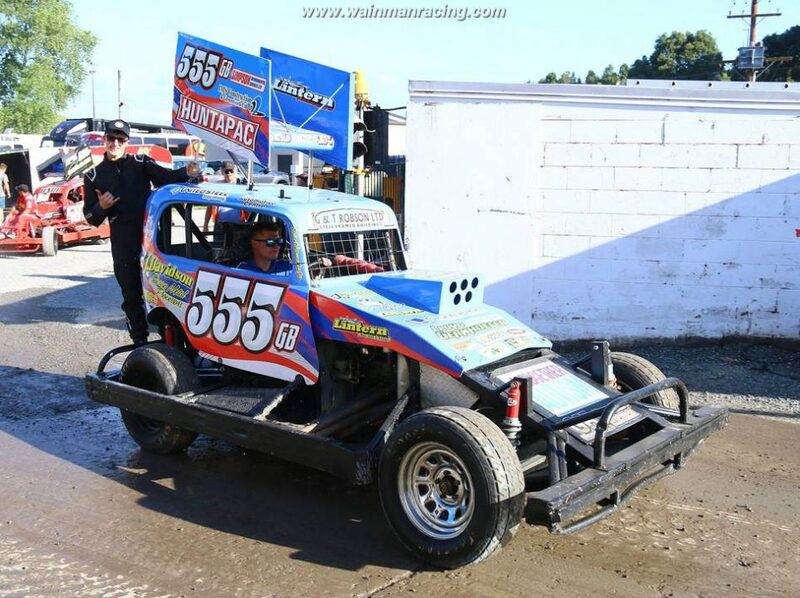 Lee, 217, had problems on Friday night with his car so was offered Pete Bengston’s car as Pete had failed to qualify. Lee was given 5 laps practice before the start of the meeting and as my car had been upgraded on the engine in the winter, Bernie asked if Bengston could take my car out for a few laps to see what he thought of it. The 5 laps practice looked okay for both cars but after Pete climbed out of my car he was concerned that the engine wasn’t performing as it should have done. A quick phone call to the engine builder and luckily he was at the meeting, so he came straight down to check that the engine was okay. A new set of plugs were installed and the float levels were checked and everything seemed to be okay to go. If the engine still wasn’t any better it would need further investigation after the weekend. So, Race One. I lined up and it was important for me to get a good start. Ben and Lee had drawn 1 and 2 so it was an overseas front row and they led the grid line up and the “Gentlemen, start your engines!”. The green flag dropped and a hectic first corner for Lee and Ben but I managed to make some good places and worked hard for the rest of race to come home 12th, and after starting 21st that was a gain of 9. I was hoping for bit more but like the racing in England a lot of the cars are now on a similar pace. So out for Heat 2 and my 8 start meant this was my front start, the only down side was that I was on outside. The green flag dropped and I managed a good first corner but didn’t manage to get in from the outside. 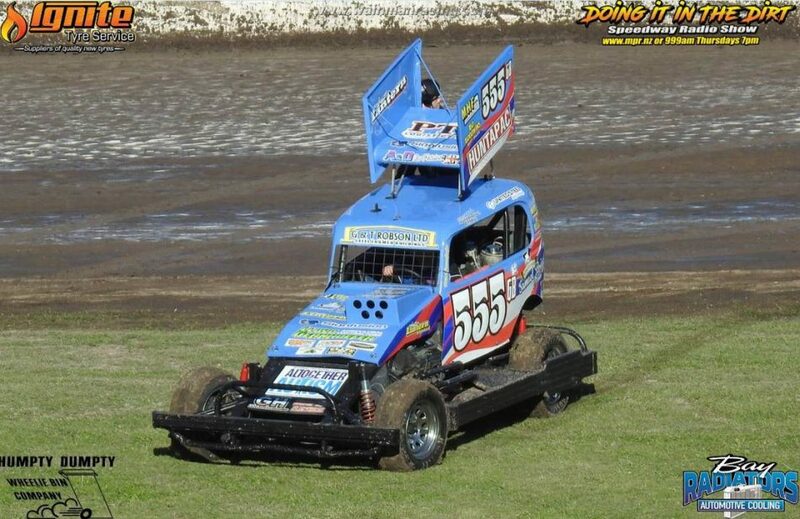 As we entered the second corner I was on the outside of a group of cars and as the nature of the racing over here, the wall always wins and I ended up smashing a front suspension arm so had to retire to the infield ending my 240 quest for 2019. The third heat was a very quiet affair as non of the overseas lads were up on points so just a steady race finishing just in front of Frankie and ending up 16th and 17th in the final points for 2019. 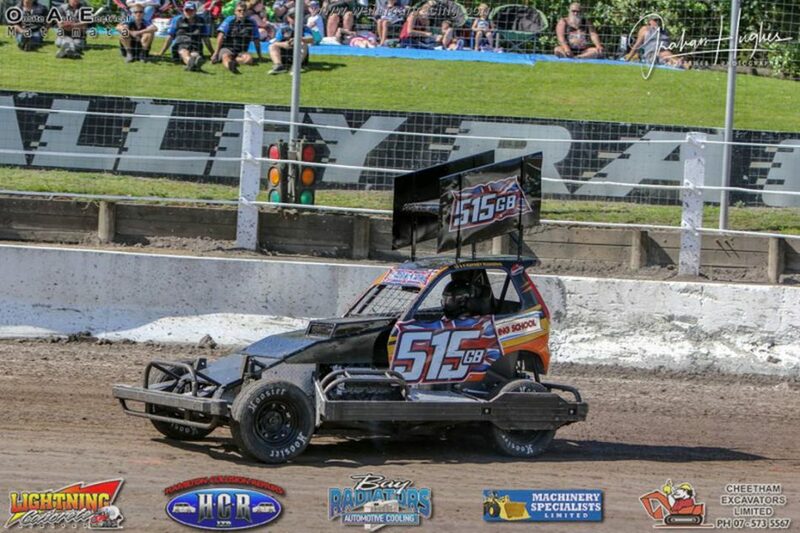 I would like to say a massive thankyou to Bernie Fox for an awesome racecar and also to everyone involved at the Rotorua Stock Car Club for all support and amazing work they do to make this one of the best stock car meetings of the season. Time to regroup and get the lads sorted for the teams. It is a totally different mind set and as we have fetched a couple of new lads over, the warm up teams meeting is this Saturday at Hawkes Bay. Me and Lee will probably sit it out so we can coach and get some experience for the younger lads. I firmly believe as captain it is important for us to use all the drivers willing to put themselves forward and put their arses on the line! It is very easy to sit behind a keyboard and judge who should and shouldn’t be in the team, but the only proof I need is when a driver puts their name forward and says that they want in. We have a full squad of 6 drivers this year and I believe all 6 will make GB proud!